Those words sound like some pretty high “red-bottom” heels to walk around in all day. The truth of the matter is that I know I’m not her. She is someone I strive to become but whose roles and responsibilities seem like a lot to handle. 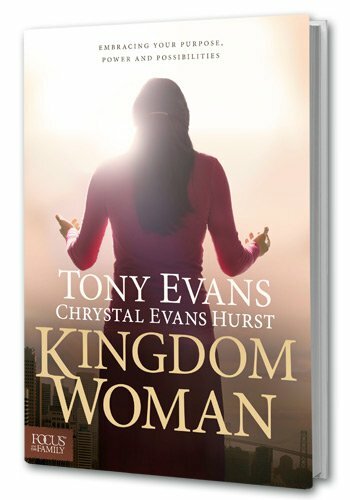 The very definition of a kingdom woman sets a high bar. 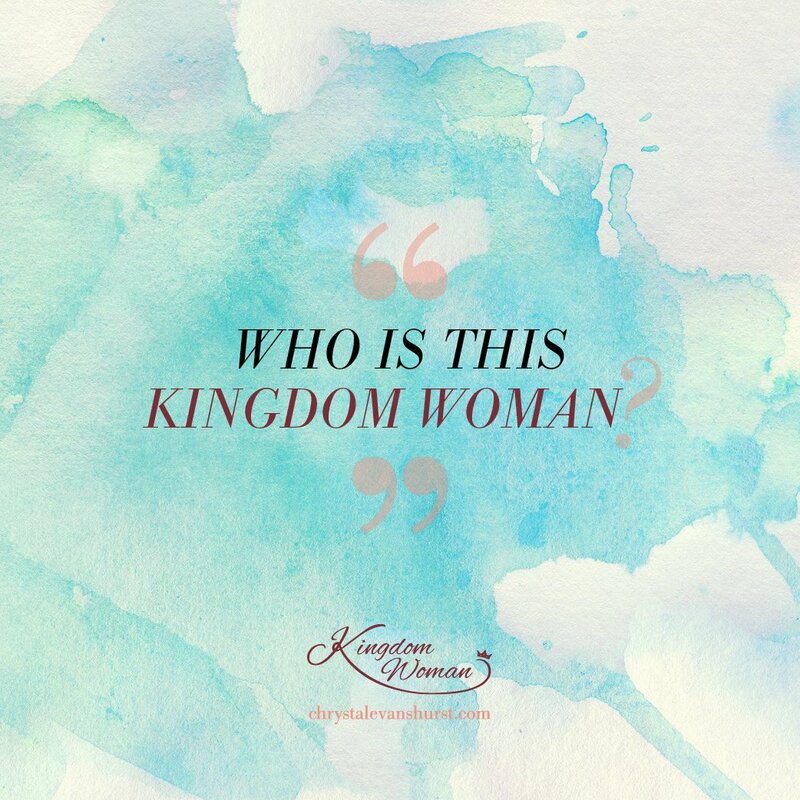 After all, where is this woman—who is this woman—who regularly and consistently positions herself under and operates according to God’s complete rule over her life? Oh, I know. She must be my neighbor. She must be the woman who sits next to me at church or the lady who always seems to have the time to serve others. She must be the woman who has been married for fifty-seven years or the woman who is fifty-seven years old and has walked in unremarkable purity. She must be the woman who walks with the tattered and torn Bible or the woman who keep Jesus paraphernalia on her desk at work. She must be the woman who never yells at her kids and the woman who always cooks gourmet meals for her family. She must be the woman who has a work ethic beyond reproach and who lives in complete financial freedom because she regularly chooses frugality instead of fashion. She maintains a modest waistline and harbors no addictions. She must be every other woman, that is. Just like Eve, we women tend to spend more time analyzing what we are not or what we don’t have than recognizing who we were created to be. Satan’s victory with Eve started way before she ate that fruit. The bite was only the culmination. Eve’s demise began when she entered a conversation with the devil. And that’s what we do a lot. We talk. We rehearse on a daily basis what we don’t have or who we are not. We focus on the areas of our “garden” (our domain or our realm) that seem just out of our reach or control. We take the seed of discontentment offered by the evil one and inform our souls of our dissatisfaction, unhappiness, or displeasure. Just like Eve we have a choice. We can choose to believe what God’s Word says about who we are and who we are created to be or we can entertain the lies planted by the enemy of our souls and cultivated by the culture we live in. Romans 10:17 says that “faith comes from hearing the message, and the message is heard through the word of Christ.” Everyday I can make the choice — the choice to both hear and believe that I am who He says that I am and I can walk boldly as a woman created for His glory. My sister, you can do the same. You can choose to believe that when God created you, He knew what he was doing. You can choose to believe that when He allows both good and not-so-good into your life, still, He knows what He is doing. You can choose to believe that when you fail, and we all WILL fail, He will know exactly what He is doing when He loves you enough to forgive you over and over again. Because he loved me then, loves me now, and will love me until I see Him and beyond, I choose Him. I choose to be a daughter of the King and seek to live a life that is pleasing to Him. 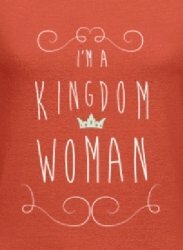 Kingdom Woman. Those four-inch red heels don’t look easy to walk around in all day. But first looks can be deceiving. The right shoe made by the right designer and with the right materials can be not just wearable, but comfortable. God has designed a plan and a purpose just for you. We are not just fearfully and wonderfully made (Psalm 139:14), we are created in the image of a radiant, magnificent God who is full of beauty and splendor. Choose to believe. Wear His glory well. Walk on His runway. and you will receive three bonus downloads including two e-books and the audio version of the book! but there will be beautiful days too. It's only when you choose to love your life, that even in the hard seasons, you get to experience the beautiful days. Who you are today is not all you will be. Who you were yesterday does not define who you are in this moment. Each day you get to decide how this chapter will read. You get to participate in writing the beauty of your story. Writing is therapy for me. There's something about spilling your crazy on paper.